WORKING THEORY is an ensemble band that performs original music written by lyricist, composer and musician Mark Baughman. The music played by the band is characterized by well-crafted, tight lyrics addressing contemporary personal and social issues, and who’s sound falls broadly into the rock music genre. Baughman belongs to a tradition of artists such as The Who, Jethro Tull, Pink Floyd and Joni Mitchell. Those artists focus on stories and music that supports those stories, rather than sticking to the classic format of a particular genre of music. 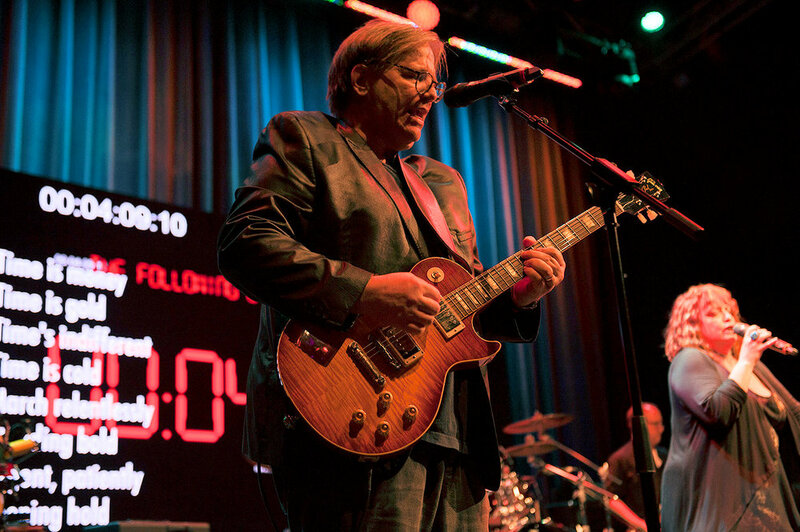 Baughman's story-telling-through music talents took off with the formation of WORKING THEORY to produce and perform his first rock opera, 99: A Rock Opera. It tells a modern love story with the backdrop of political activism, where it seems that every issue in contemporary life is a call to take sides. Baughman's second rock opera, Release, tells the story of Amy – an African American medical corps veteran suffering from PTSD, Thom – a son of privilege who made a stupid mistake and ruined his life, and Patrick – a teenager trapped in his autistic world. All three live their own forms of an alienated lives and find each other in a Wyoming mental clinic where they discover that they may be able to help each other get back into the bigger world. Since Release Baughman has produced two new albums of material including Charmed Life and She Dreams of the Ghost. He is now writing and recording a new rock opera entitled Energie. WORKING THEORY takes different shapes and forms depending on the venue - from an unplugged acoustic duet to a 7-piece rock band with elaborate video backgrounds helping to tell the stories in the songs.